This is very easy to do. Simply take a tooth pick and dip lightly one end in white paint. By lightly we mean no drops forming on the tooth pick, simply a light cover of paint. Now simply touch each button with the tooth pick and voila. Each button will have a tiny mark. Granted it’s not as good as actual symbols and letters but it is for sure better than basically not being able to see that there is a button there at all. Some cars have chromed or otherwise colored air vents, chromed rings in the instrument panel, special trim around the stereo and other various subtle touches around the dash, like a handle for the glovebox. 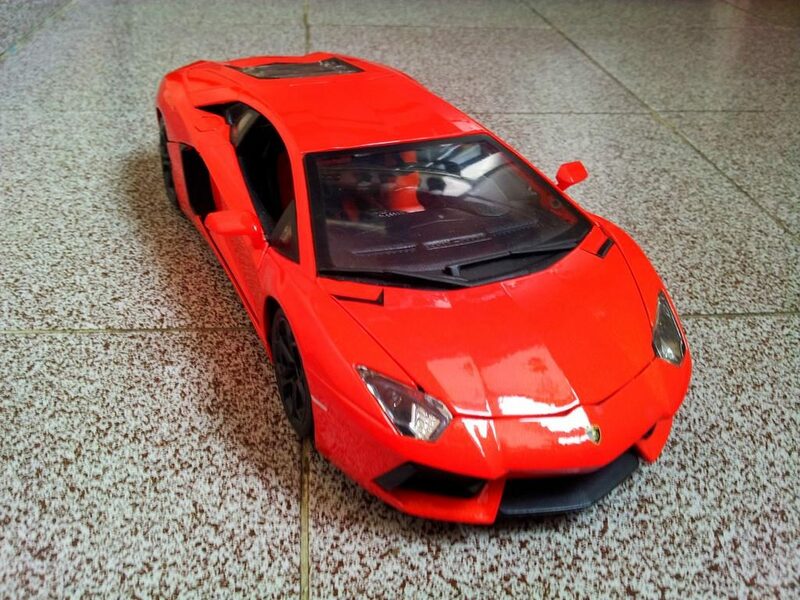 For best precision use reference pictures of the actual car when deciding which of those details can be transferred into the model. Don’t kid yourself though, not all details will look good on the scale model despite looking great in the real car. So try to keep it real and avoid too brave improvements. Usually the best way to add these rings and other details is by hand painting them on. It is a tricky job but with a bit of masking tape, practice and patience it is possible. Also the tooth pick method described above might be helpful here as well. You can liven the dashboard up a bit by adding some extra items. Like a mount for cell phones, GPS unit and other bits and pieces usually found in most cars after they have had a meeting with real life. The best way to achieve this is by tapping from the sea of your creativity. A GPS unit for example can easily be made out of a small plastic rectangular with a proper picture glued on the front and then attach to the dash. This one is the most difficult task in the quest to detail the dashboard. It will require the use of a cutting tool, preferably a Dremel-type, a VERY steady hand and a brave pill. The plastic is very easy to cut and also very easy to snap so you must be very carefull. The idea is simple – just cut along the lines of the glove box so that in the end you have a ready-made lid. After you cut it you have to remount it on a hinge of some kind (this depends entirely of the model, form of lid and available space) then add a small box to act as the actual glove box behind the dash and you will have a model with a unique feature. 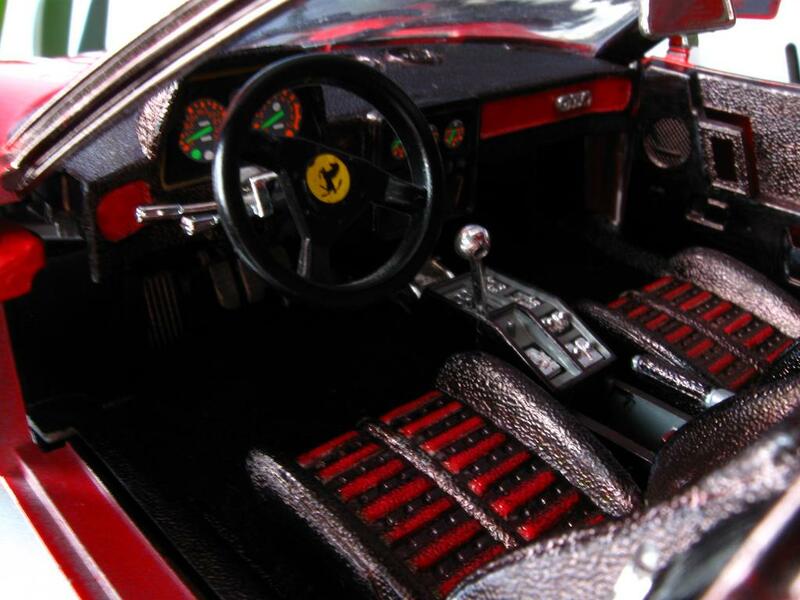 Of course there are other ways to detail the dashboard on a diecast model. You can cover it in leather, remodel it completely and etc. In this case we tried to stay close to the more easily achievable options (apart from the last one obviously) that anyone can do. If you have cool ideas, suggestions or questions, feel happily invited to share them with us and the rest of the visitors of ToyForia. Next Are toys too safe these days or were they too dangerous?